We’d love to give you a tour of our place (and samples of our brews, of course). Tours are $5 and include a guided tour of the brewery, plus a flight of four 7-oz. beers. Walk-ups are welcome, but if you plan to bring a group, please make a reservation. Tours fill up quickly, especially on Saturdays. There’s a 36-person tour maximum. At this time, we’re unable to offer private tours. No Sandals Please – For safety and health reasons, open-toed shoes are not allowed on tour. If we receive cancellations, those dates will open online again. We do not keep a waiting list, so visit the calendar often. Walk-ins are welcome if space is available. To modify or cancel an existing reservation, contact tours@summitbrewing.com. Thursdays and Fridays: 3 p.m.
Saturdays: 1 p.m., 3 p.m., 5 p.m., and 7 p.m.
Sundays: 1 p.m. and 3 p.m.
Thursdays and Fridays: 2:00pm–9:00 p.m.
Closed on most holidays, including Thanksgiving, Christmas Eve, Christmas Day and New Year’s Day. 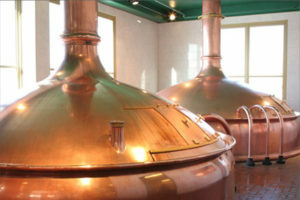 Tour admission is $5, which includes a professional guided tour and a flight of four 7-oz. beers.